We love Reiss as it has such a great selection of pieces which can update your existing wardrobe and give it a new edge or maybe you want something new for a special occasion or just give yourself a boost. From fabulous frocks to very cute shoes Reiss is a real hidden gem of a brand with some great pieces you’ll cherish. Embrace feminine florals this season with the Lucca smock dress in white. The Angelo top in white is knitted to a sleeveless polo silhouette with an intricate, pointelle design at the side and back panels. Wear it to bring a touch of femininity to daytime looks. 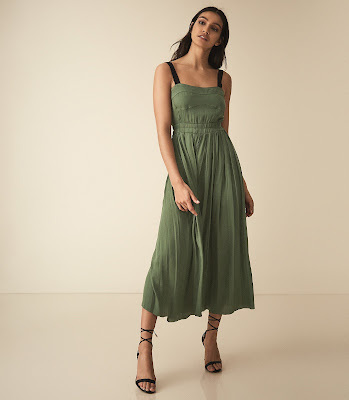 The Luella midi dress in green strikes the balance between feminine and sophisticated, striking and wearable. It's designed with a graphic strap design, cutout back and it falls to a loose-fitting empire-line skirt. Wear it both abroad and on home ground, switching embellished flats for statement sandals depending on the occasion. This season Stockholm-based sunglasses brand, Monokel Eyewear, presents a selection of contemporary eyewear designs. 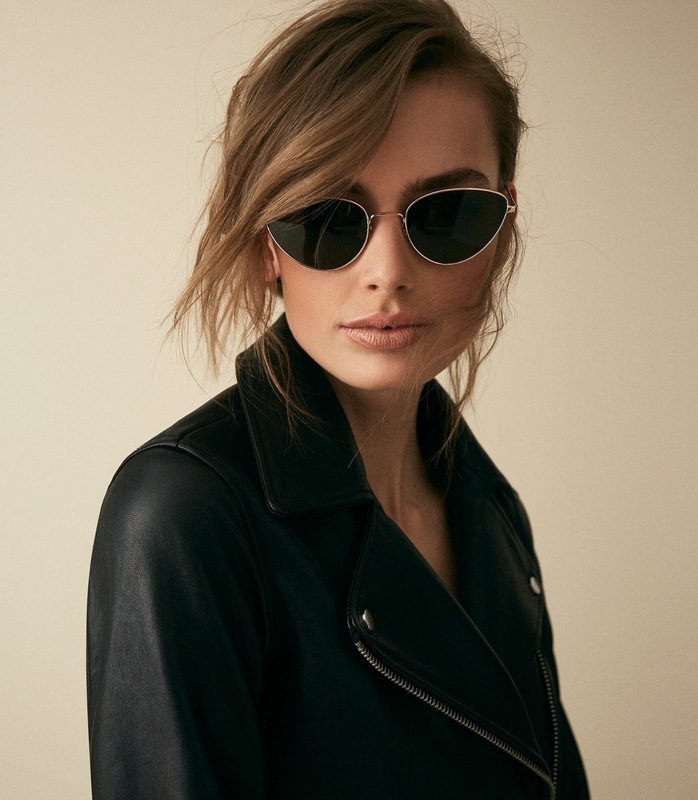 The Luna sunglasses in gold are handcrafted using premium plant-based acetate to a statement cat-eye shape and they have delicate acetate arms. Complete with a stylish case, they promise to put a design-focused spin on any high-summer accessories collection. The Betty shirt in white will add a bohemian element to your warm-weather wardrobe. Featuring summer's classic lace trend, broderie anglaise, it's designed with a beautifully crafted shirt collar and sleeves. A striking piece that will transcend seasons, wear it with jeans or tailored trousers, depending on the outing. Crafted in a signature monochrome-and-pink check developed exclusively for Reiss, the Connie blazer is an effortless way to add a heritage print into your wardrobe. Designed with a single-breasted silhouette for a flattering fit, the slim shape offers a contemporary update to traditional workwear that pairs easily with knits, blouses and tailored trousers. The Wynee leather jacket comes in a warm tan-hue that perfectly highlights its contrasting silver-tone metal detailing. It's designed with a point collar and it has a buckled strap at the waist that nods to classic trench styles. Wear it with jeans and ankle boots for a statement off-duty look. The new season and warmer weather welcome the return of the slip-on mule. The Rene features a signature buckle detail and a printed snake finish which keep this pair refined, making them perfect for smartening up more casual looks.